Have an Amazing Day at the Panguitch, Utah Balloon Festival! As usual, Winnie the Pooh is a font of timeless wisdom. Think about it. Have you ever seen your kids frown or shed a tear while looking at a balloon? Now, imagine their faces if you supersized that colorful bubble of joy, multiplied it times a hundred, and set it loose to float through the skies over a gorgeous landscape. That’s the reaction you’ll get when you take your family to the Panguitch, Utah Balloon Festival! Make sure you schedule some family time this June to come participate in this fun local tradition! Before you pack up the van and head our way for the Panguitch, Utah Balloon Festival, make sure you download a copy of our complimentary Southern Utah Vacation Guide. 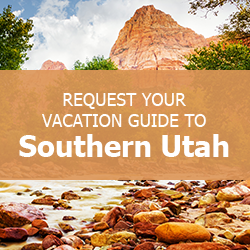 It contains great suggestions for other fun family events, outdoor activities, restaurants, attractions, and all kinds of things to do in Southern Utah. When you download the Vacation Guide, you’ll have everything you need to make memories that your family will cherish for years to come. Check it out, and begin planning your ultimate Southern Utah family trip today! There will also be vendors, inflatable rides and extreme air jumping available on Friday and Saturday! See the full listing of events to start planning your trip! Want to give your family some motivation to get active this summer? If so, sign up for the 5k Run that occurs in conjunction with the Panguitch, Utah Balloon Festival. Run as a family right after the balloons are released (the 5k starts at 7:30 am on Saturday), and then stick around for the rest of the fun! After the Panguitch, Utah Balloon Festival, come back to your Family Time Vacation Rental for even more family bonding and memory making! Our gorgeous, spacious homes provide some of the best places to stay in Southern Utah! Filled with everything you need for a great trip, many Family Time Vacation Rentals are located in the Panguitch, Utah area, giving you easy access to all of the festival’s great events. Contact us today! We look forward to helping you make memories during your next family getaway!